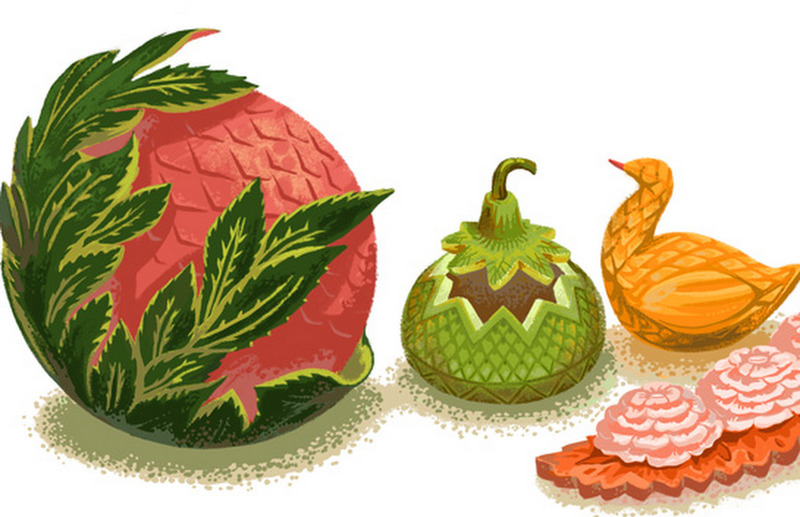 Today's Doodle in Thailand celebrates national artist Penpan Sittitrai and the delicate art of fruit carving, which she mastered, skillfully turning every fruit and vegetable she touched into something truly exquisite. The tradition of fruit carving has been around for centuries, initially carried out to decorate the tables of the Thai royal family. Over time, it has turned into a staple at most cultural events — something would be amiss at a Thai wedding without one of these as a centerpiece. But it’s at Songkran, the Thai New Year festival, when this custom is especially popular. Penpan Sittitrai is Thailand’s most famous fruit carving artist. Using nothing but a simple carving knife, she shaped watermelons into delicate leaves and mangoes into elegant swans. Nature was Sittitrai’s favorite theme, and from girlhood through her golden years, Sittitrai practiced her craft, elevating it to a form of fine art. 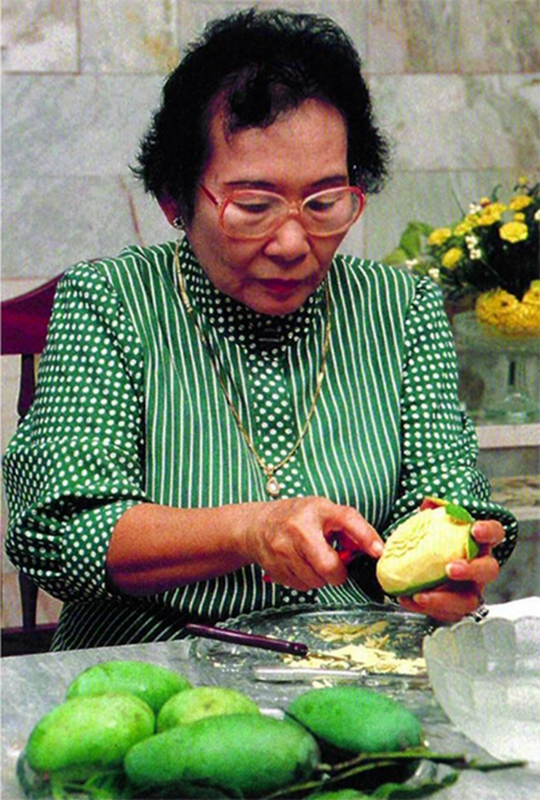 Penpan left behind many legacies, including her book “The Art of Thai Vegetable and Fruit Carving,” so anyone, anywhere can learn how to turn their apple-a-day into a work of art.